Rih has taken over Harper's Bazaar China with two covers and a really artistic spread. 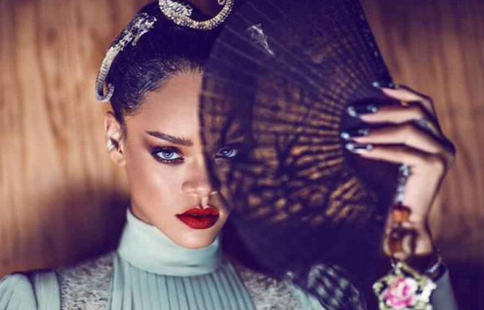 It's Rihanna Season as we know, and her reign is back in full affect (as if it ever left). The two covers for HB China come just after Rihanna's amazing spread in the US leg of the magazine. In that photoshoot Rihanna literally swam with Sharks and made it look effortless, even though she admitted it was terrifying. The China spread didn't capture Rihanna doing anything dangerous.....well, other than the natural given slay she has when photographed- that she can't help. Rih has been working like a mad woman, and I'm hearing that she's yet again made herstoRih by being the first black woman to be the face of Dior. She was spotted shooting for the campaign this week. She's also gearing up for the release of her new animated film HOME, where she is once again making herstoRih as the first black female lead in a Dreamworks film. This is all cute since it's Women's History Month, but Rihanna is always making moves on the business side of things. This girl is a force to be reckoned with in this industry, and we commend her for that! Check out her beautiful photos from HB China below, and buckle your seat belts for what is going to be an amazing year for our girl!